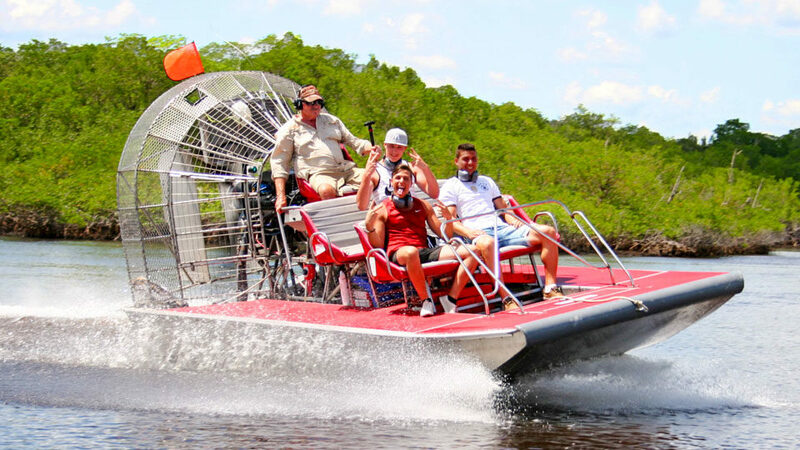 Don’t take just an airboat tour. 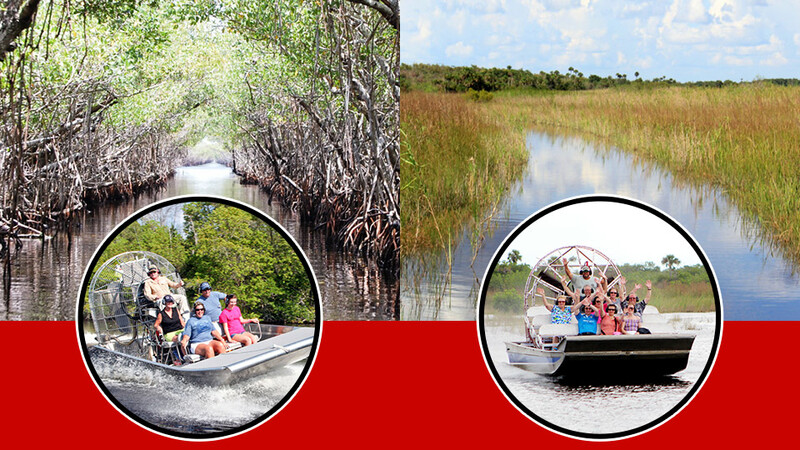 Get an entire Everglades experience! 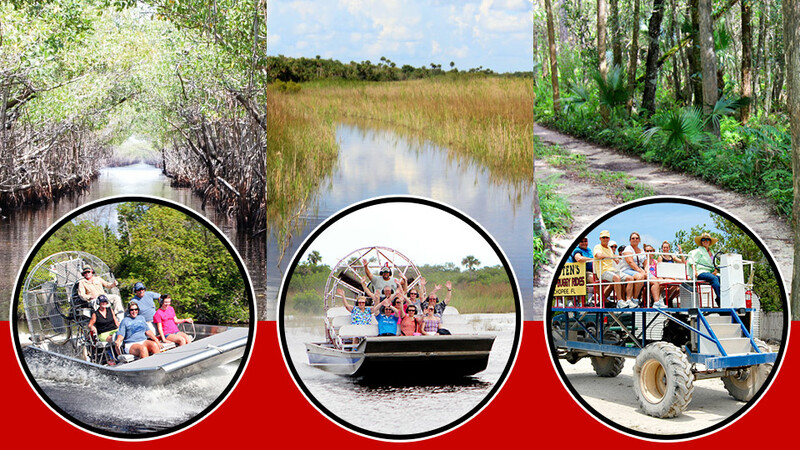 Take an exciting 1-hour airboat tour through Everglades mangroves, then get 3 free bonuses bonuses: hug a baby alligator, see a live alligator show with an experienced handler, and visit our Animal Sanctuary with tigers, panthers, snakes, otters, over 100 alligators, and more! 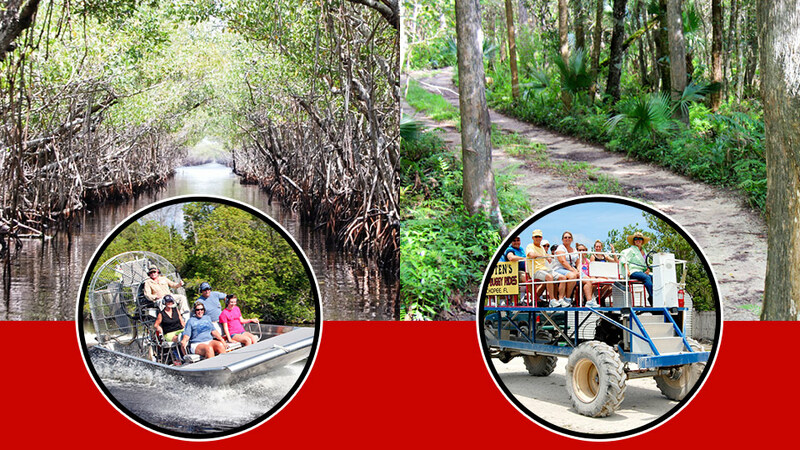 Take an exciting airboat tour through Everglades mangroves, then a beautiful nature tour through a cypress forest. 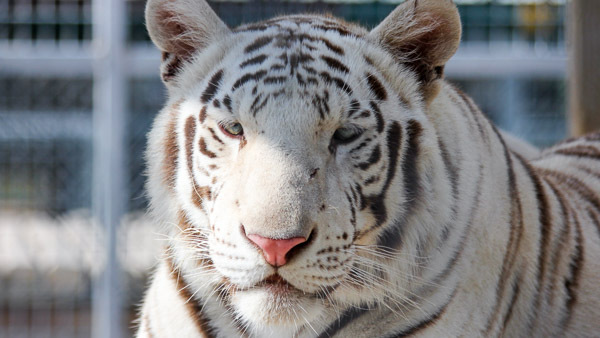 See a live alligator show with an experienced handler, hug a baby alligator, then visit our animal sanctuary with tigers, panthers, snakes, otters, over 100 alligators, and more! 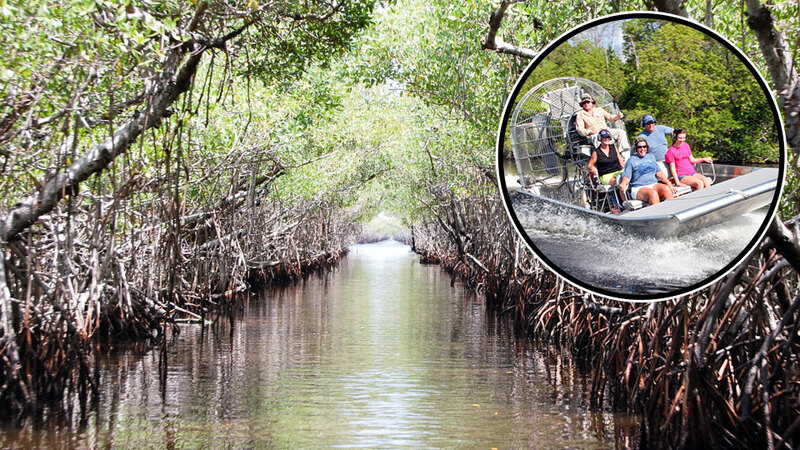 See all three Everglades ecosystems: an exciting airboat tour through Everglades mangroves, a beautiful airboat tour over private grasslands, and a nature tour in a cypress forest. 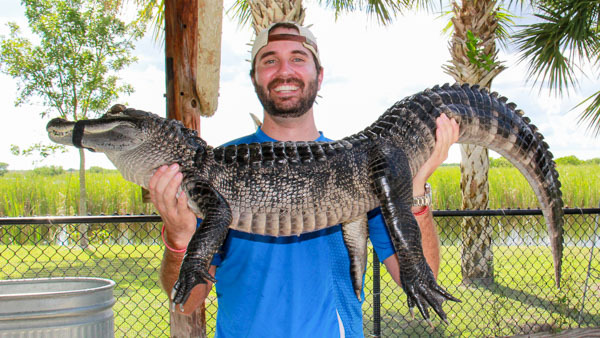 Watch a live alligator show with an experienced handler, hug a baby alligator, then visit our animal sanctuary with tigers, panthers, snakes, otters, over 100 alligators, and more! Get up close! 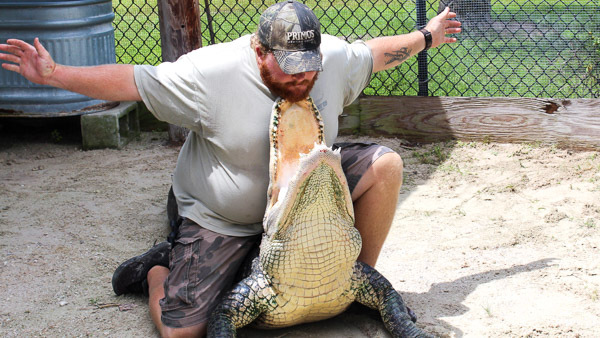 Our experienced gator handlers put on a live alligator show in our Animal Sanctuary every hour. You’ll learn everything you wanted to know about gators and more!